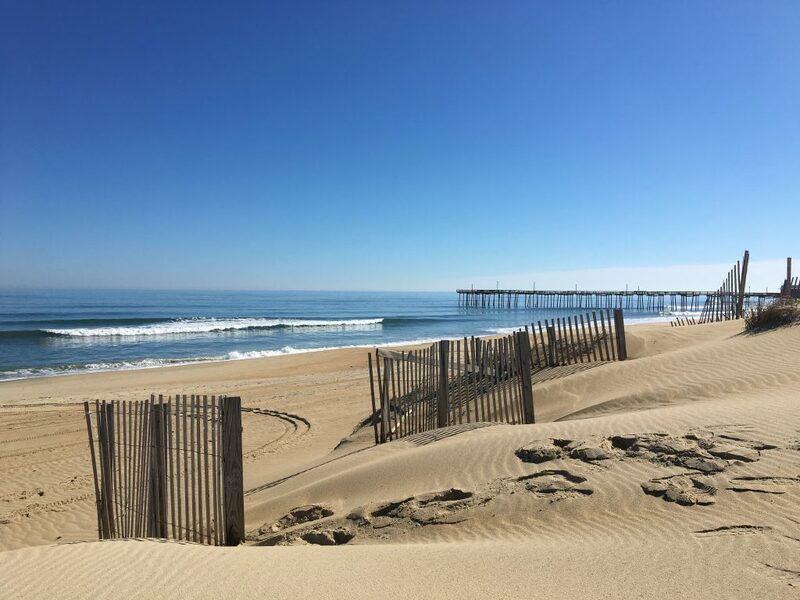 The town of Nags Head has plans to preserve our precious beaches through a process of beach nourishment beginning in 2019. Also called beach renourishment, the Nags Head beach nourishment project will help control erosion and extend the width of the beach. The project calls for not only dredging sand, but also to help secure the dunes through new fencing and sprigging. How Is The Nags Head Beach Doing? You may have heard that the project was to take place in 2018, but a report by The Outer Banks Sentinel sites a review by Coastal Science & Engineering and Nags Head Board of Commissioners. They found that “The Nags Head beach is in pretty good shape still.” They found that 64% of the 2011 nourishment sand still remains, and although there is work to be done, it will be more cost effective in 2019. The work will begin on the Nags Head beach nourishment project in the spring of 2019 and take place between milepost 11 and milepost 21. For more information and a informational video visit the Dare County NC beach nourishment page. 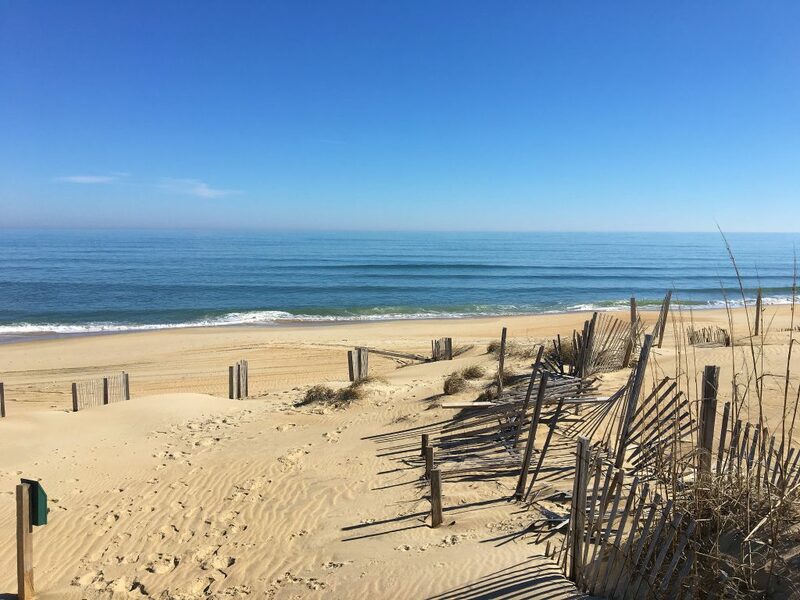 We’ll update this Outer Banks blog post with updates when work begins on the Nags Head beach nourishment project in the spring of 2019, but until then come visit Nags Head! The summer of 2018 in the Outer Banks will be free of any construction work on the beaches and an ideal time to head out to Nags Head for a beach vacation. 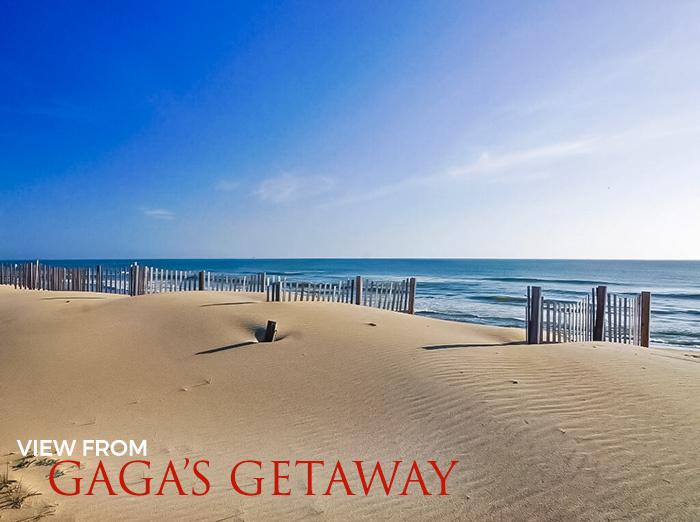 As one of the premier Nags Head vacation rental companies we have a host of great Nags Head rentals still available for summer. Many even have discounts you can use to save even more than our regular great rates. Check out our Outer Banks specials page to browse Outer Banks rentals with discounts for summer 2018. A new land mass known by the name of Shelly Island began forming first as a sandbank around April 2017. The island is located off of the tip of Cape Point in Buxton, North Carolina. The crescent shaped island measures one mile long and more than 500 ft. wide. Although all parts of the island are constantly changing. 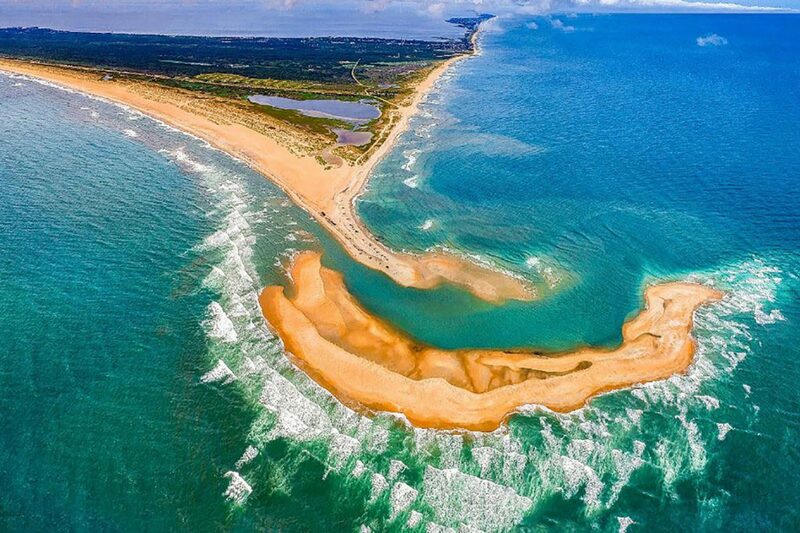 The amount of sand that moves past the Outer Banks may be the largest in the world. The OBX is known for rapidly shifting sands, thanks to high-energy wind and waves. Small landmasses frequently appear and vanish in this area, but Shelly Island is notable for its size and speed with which it was formed. It’s not out of the ordinary for patches of ground to appear and then suddenly ease off. This is caused from the mixing of the cold water of the Labrador Current crashing into the warm Gulf Stream waters. This area of water is also known as the Graveyard of the Atlantic due its shallow region of harsh winds, hidden sandbanks and swirling tides. It was nicknamed Shelly Island by locals because of the vast quantities of shells that are found on the shore. The discovery of the new island is drumming up a great deal of attention, but experts warn that it’s surrounded by dangerous currents. National Park Service officials have issued warnings about trying to swim or walk across the channel. There has been reports of sand tiger sharks and oceanic manta rays that were brought into the channel by the fast moving waters that separate the island from the rest of the Cape Hatteras National Seashore. 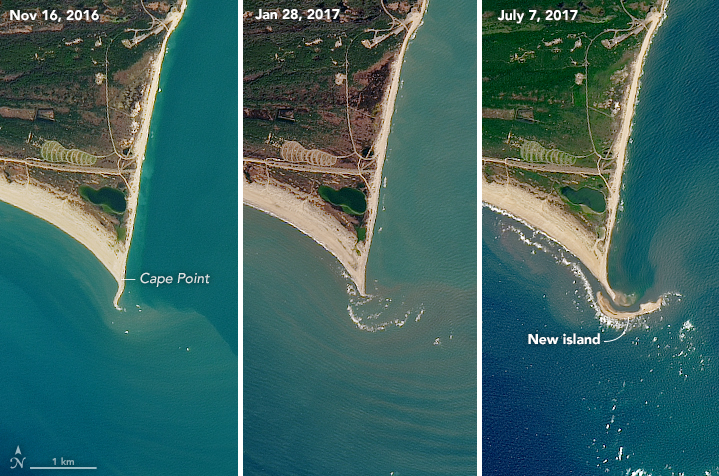 NASA recently released images that show the formation of Shelly Island. Shelly Island could be gone with the next storm, or could get bigger for a while longer, but only be for a short period of time. Stanley Riggs, a retired geology professor and author who has written books about North Carolina’s coast says “Nothing here becomes a fixture. Nothing is the same from one hour to the next. There’s no such thing as normal.” The next hurricane that comes along could blow the island back into the Atlantic as quickly as it appeared. 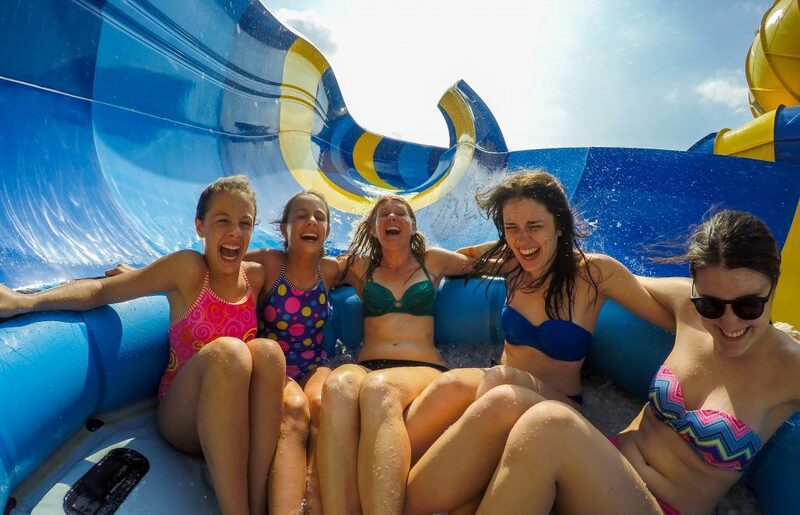 A truly unique find among North Carolina water parks, H2OBX brings the best of the Outer Banks’ storied past together with its vibrant present! This brand new world-class waterpark is themed from classic North Carolina beach architecture with splashes of the rich history of the Outer Banks. H2OBX Waterpark is sure to top the list of best family activities on the Outer Banks. Opening summer 2017! Explore more than 30 rides, slides and attractions at the newest outdoor waterpark on the Outer Banks. 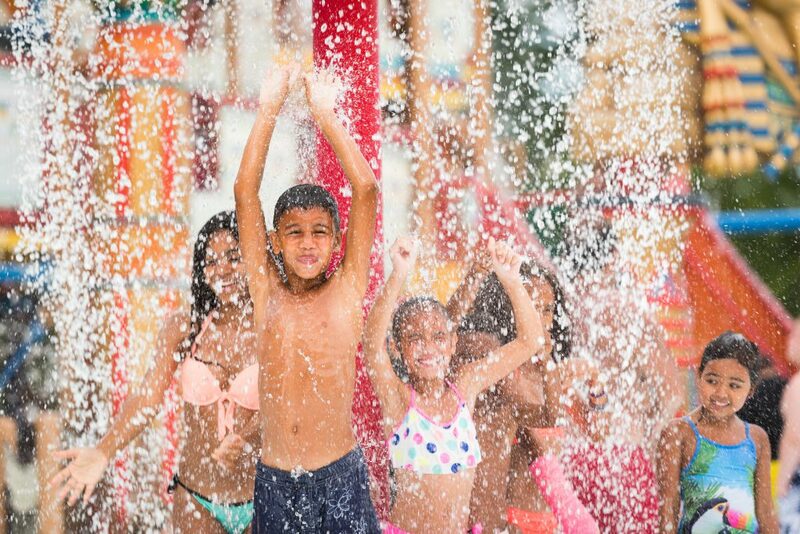 A few rides include Flow Rider surf & boogie board ride, Lounge-worthy Adventure River, Wave Pools, Challenge Lagoon, And so much more! If relaxation is more your speed, H2OBX also features resort-style amenities. Friends and Family can experience inspired shopping and dining options while taking in the stunning views of the Outer Banks. If it’s either wild family fun you want or upscale resort getaway, H2OBX is the place to be on the Outer Banks this summer 2017. To increase the action and excitement, H2OBX will limit ticket sales every day to ensure a guest experience like you’ve never had before. Stan White Realty has partnered with H2OBX to offer our guests exclusive access to advanced ticket sales as well as discounted pricing. Book today for the opportunity to purchase your tickets for your 2017 Outer Banks vacation. The grand opening of Dowdy Park is scheduled to take place on May 13th, 2017. Dowdy Park is located in the northern portion of the town of Nags Head and sits on five acres of land formerly occupied by Dowdy Amusement Park. 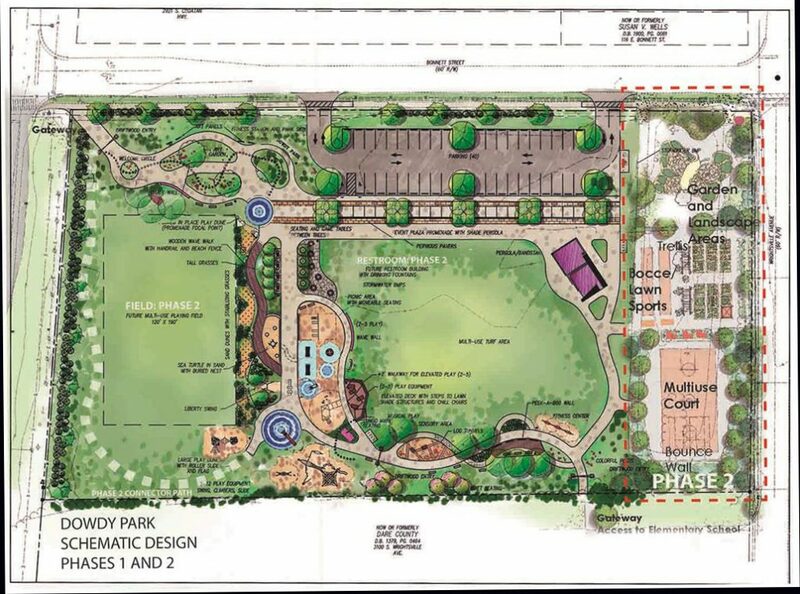 The park will provide needed community gathering and recreational space to all residents of the Outer Banks. It will include a play area inclusive for all ages and needs with an integration of art play elements and educational components for hands on learning. The park will also feature garden areas and bike racks, and there is even an event plaza and pavilion along with the multi-use turf area. This is designed for hosting events and activities such as concerts, performance, art shows, craftsman’s fair, outdoor classroom space for educational programs, and other community social gatherings. Dowdy’s Amusement Park was opened in 1962 by Joe Dowdy. The park was a feature attraction in the area for over 40 years. Many locals and visitors alike have fond memories of summer vacations enjoying the old Dowdy Park. The town anticipates the re-purpose of the site and hopes that Dowdy Park will help create new memories for upcoming generations. Visit the Town of Nags Head website for the project timeline, updates and a schematic design. The Outer Banks will be undergoing additional beach nourishment this year in the towns of Duck, Kitty Hawk and Kill Devil Hills. Beach nourishment is a process by which sediment (sand) lost through long shore drift or erosion is replaced from sources outside of the eroding beach. The purpose of the project is to help widen our existing beaches. The project will include pumping sand from the ocean floor onto the beach to build up the eroded areas. The widened shoreline provides defense from coastal storms and protects our community, particularly properties along the shoreline, from beach erosion. KITTY HAWK – The proposed project area is 3.58 miles of shoreline, which will span from the town’s northern border with Southern Shores down to southern border with Kill Devil Hills. It is expected to take place from June through August 2017. KILL DEVIL HILLS – The project will span to almost 2.6 miles, beginning at the northern border with Kitty Hawk and ending south of Prospect Avenue. This will take place from August through October 2017. The beaches will remain open but access to certain areas will be restricted during the construction phase. Please keep in mind that these are preliminary schedules and are subject to change. The contractor for the project is Great Lakes Dredge and Dock Company (GLDD). For schedule updates and more information about Beach Nourishment, visit http://morebeachtolove.com/. We asked our staff here at Stan White Realty & Construction what were some of the most commonly asked questions they are being asked while they help you plan your Outer Banks vacation. Please feel free to call one of our reservationist if you have any other questions we didn’t answer in this blog post. Q: What is the difference in all of the various home locations? A: We have properties located in all different areas of the islands all the way from the towns Corolla to South Nags Head. Q: How do I get to your offices? Q: Do I need a fishing license to fish? A: A Coastal recreational Fishing License is required on the Outer Banks. Children under 16 are exempt. An individual doesn’t need a license for charter boat and pier fishing. Both are covered by a blanket license. A: At a local bait and tackle shop and at any of the piers. Q: Are fires allowed on the beach? Nags Head and South Nags Head – yes with a permit. Q: Should I worry about traffic traveling to the OBX? A: Yes. When traveling to the OBX in the summer season (June through August) plan ahead for traffic delays across the Wright Memorial Bridge and Highway 12 north through Duck during the early morning and afternoon on the weekends. To avoid this traffic take alternate routes like Highway 64 over Roanoke Island. Or try arriving earlier in the day or late evening. Q: What are the leash laws for dogs? A: Corolla and Duck is all year round with a leash. Southern Shores is before 9a.m. and after 6p.m. Kill Devil Hills and Kitty Hawk are with a leash. Nags Head is year round with a leash. Q: Where can I launch my personal boat on the OBX? Q: What does express check-in involve? A: During the summer at the Nags Head office our staff provides Express Check-in. This is set up in the parking lot and allows guests to quickly and easily drive thru the outdoor check-in without having the leave their car. The purpose of Express Check-in is to shorten the check-in process and get you to your OBX rental home and on vacation sooner. Q: Do you offer travel insurance on my vacation? A: We do offer travel insurance through an outside company, Red Sky Travel Insurance. We encourage all of our guests to purchase the Travel Interruption Insurance with their Outer Banks vacation rental by including this policy with your reservation. To purchase the policy, initial in the space reservation on your lease agreement. To decline just leave the space blank and it will be deducted from your total. Q: Where can I go in case of an emergency? A: Need care and relief for a minor injury, ache or pain during your stay on the Outer Banks? Or maybe even your pet needs some emergency care. Here is a list of urgent care centers. Take the road less traveled. Take the time to experience the actuality of North Carolinas Easternmost parts along the coast of the state’s barrier islands. 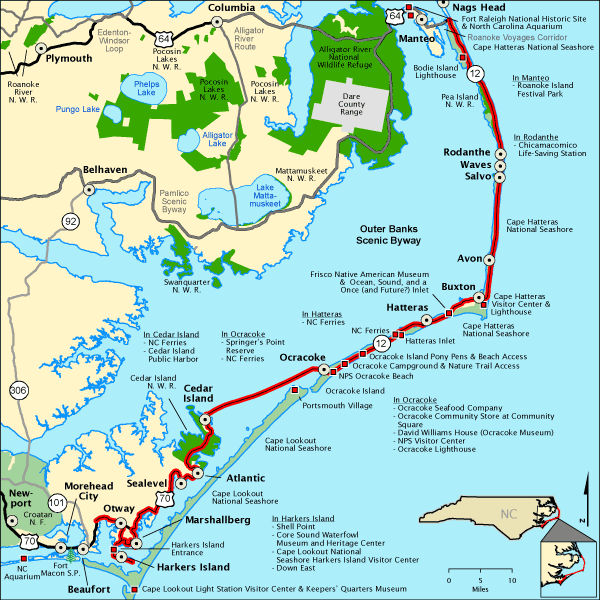 Currently the Outer Banks National Scenic Byway is made up of nine barrier islands – or banks. The islands protect the mainland coast from the Atlantic Ocean’s, at times, compelling winds and water. The length of the secluded road is 142.5 driving miles. The driving time is 6.5 hours – including 3.5 hours on two ferries. The byway begins in the Outer Banks region and ends in the Crystal Coast region. 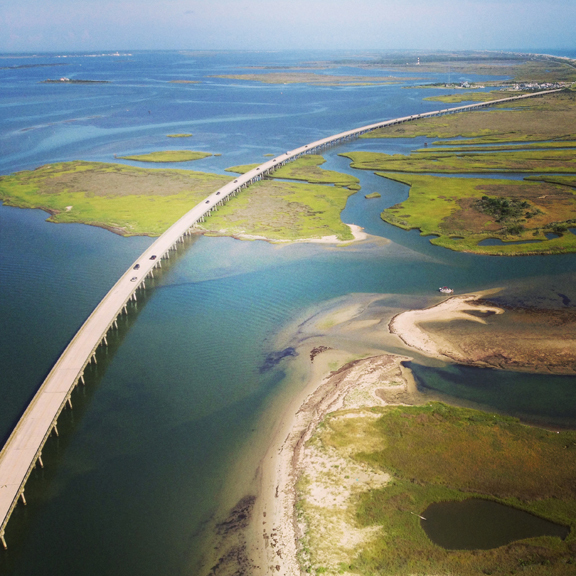 The Outer Banks National Scenic Byway passes through one of the nation’s great coastal landscapes, tidal marshes, wind-swept dunes, and alluring sounds border the roadway. The byway also includes two national seashores, Cape Hatteras and Cape Lookout. There is two national wildlife refuges – Pea Island and Cedar Island. The barrier islands are separated away from the mainland by six different sounds ranging from three to 40 miles wide. From North to South they are: Currituck, Albemarle, Roanoke, Pamlico, Core and Bogue. The oceangoing culture of the 21 coastal villages along the road is what makes this route so unique. Each maritime village shares a common cultural heritage which is shaped by the well know barrier islands and three shallow sounds – Pamlico, Core and Back. During the drive visitors will notice that the tiny villages are held together by locally owned businesses with barley a chain business in sight. The residents of these villages build boats, fish and hunt, operate ferries, guard the coast, tell stories and provide services to visitors. Fishing and hunting as livelihoods are keys to this culture that goes along with living on the coastal edge. 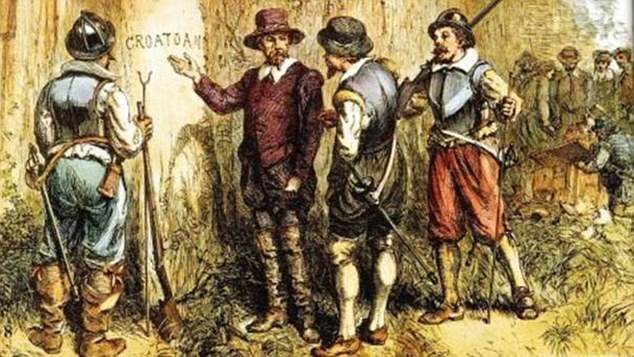 Byway villages are held to a significant national history, a collection of the nation’s earliest civil works. This includes four historic lighthouses and eight early U.S. Life-Saving Service or U.S. Coast Guard stations. The four lighthouses along the byway are Bodie Island Lighthouse, Cape Hatteras Lighthouse, Ocracoke Village Lighthouse, and Cape Lookout National Seashore Lighthouse. Take the drive on The Outer Banks National Scenic Byway and get a feel for how life was like before the hectic schedules and tourist-driven cities. The Outer Banks National Scenic Byway begins in the north at Whalebone Junction. The joining of US 64-264, US 158, and NC 12 in Nags Head, Dare County, North Carolina. Travelers following the Byway’s NC 12 south can see the Atlantic Ocean on the east and the Pamlico Sound on the west. The road crosses over Bodie and Hatteras islands in Dare County, Ocracoke Island in Hyde County and Down East in Carteret County to end on the west side of North River at the intersection of US 70 and Merrimon Road. The byway includes two ferry rides. One free, between Hatteras and Ocracoke Islands. The other, between Ocracoke Island and Downs Easts Cedar Island. The Scenic Byway ends in Beaufort in the Down East region of North Carolina.